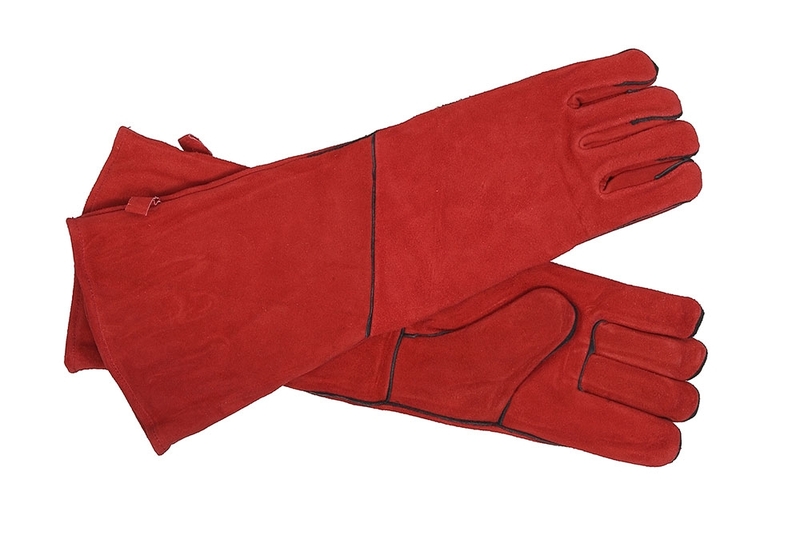 Our best suede leather gloves for stove or fireplace. Deluxe fully insulated glove-in-glove design, 100% split cowhide exterior, full interior lining of non-asbestos felt, reinforced welted seams to protect fingertips, hanging loop for easy storage. Extra long cuffs protect forearms. I really liked the look and feel of my new gloves. Great price and great service.